Below you can view all the homes for sale in the Culver Riggs subdivision located in Indianapolis Indiana. Listings in Culver Riggs are updated daily from data we receive from the Indianapolis multiple listing service. To learn more about any of these homes or to receive custom notifications when a new property is listed for sale in Culver Riggs, give us a call at 317-434-3322. It will not last long at this price! MLS#21632770. Diverse Property Solutions Ind. RING alarm system, SENSI WiFi Thermostat. MLS#21626531. 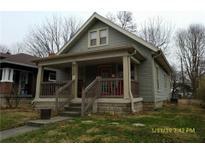 Keller Williams Indpls Metro N.
Home comes with one year home warranty for the new buyer peace of mind. Side yard completely privacy fenced. MLS#21632068. Carpenter, REALTORS®. ***To help visualize this home’s floorplan and to highlight its potential, virtual furnishings may have been added to photos found in this listing. *** MLS#21631228. Artisan, REALTORS®. Currently tenanted with Section 8 tenant paying $755 per month. MLS#21629665. No Limit Real Estate, LLC. All appliances included and both sides have central air. Large covered front porch. 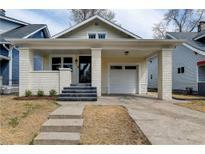 MLS#21629582. Triple E Realty, LLC. Please see attachments and agent notes for access information. 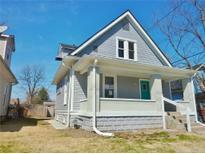 MLS#21625399. Realty Wealth Advisors. Home offers a hard to find driveway and a deck with a privacy fence in the back. You won't be disappointed! MLS#21615086. RE/MAX At The Crossing. 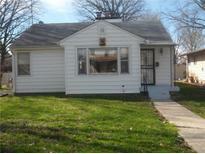 Great area and a great opportunity for sweat equity!! ! MLS#21601084. American Wholesale Properties,. MLS#21596568. United Real Estate Indpls.